(Victor Davis Hanson – National Review) It’s time to stop the stonewalling, redacting, suppression, leaking to the press, and media hysteria surrounding investigations into the 2016 election. Special counsel Robert Mueller’s investigation was star-crossed from the start. His friend and successor as FBI director, James Comey, by his own admission prompted the investigation — with the deliberate leaking of classified memos about his conversations with President Donald Trump to the press. Mueller then unnecessarily stocked his team with what the press called his “dream team” of mostly Democratic partisans. One had defended a Hillary Clinton employee. Another had defended the Clinton Foundation. 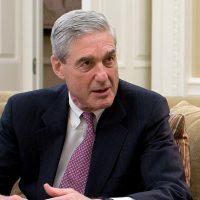 Mueller did not at first announce to the press why he had dismissed Trump-hating FBI operatives Lisa Page and Peter Strzok from his investigative team. Instead, he staggered their departures to leave the impression they were routine reassignments. But Mueller’s greatest problem was his original mandate to discover whether Trump colluded with the Russians in 2016 to tilt the election in his favor.